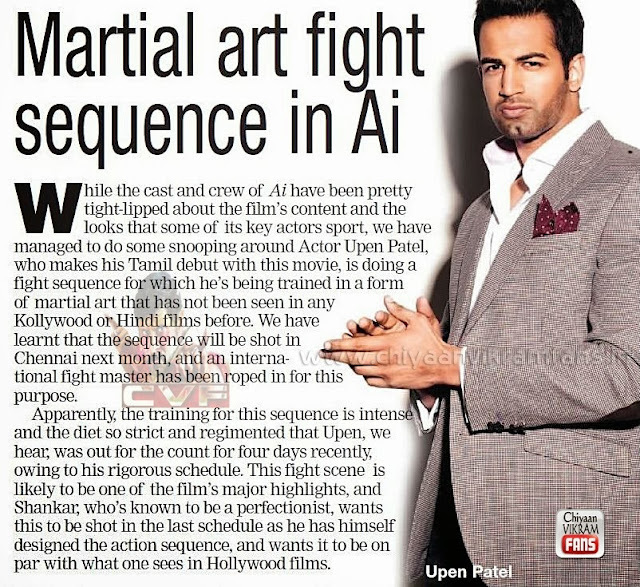 While the cast and crew of Ai have been pretty tight-lipped about the film’s content and the looks that some of its key actors sport, we have managed to do some snooping around Actor Upen Patel, who makes his Tamil debut with this movie, is doing a fight sequence for which he’s being trained in a form of martial art that has not been seen in any Kollywood or Hindi films before. We have learnt that the sequence will be shot in Chennai next month, and an international fight master has been roped in for this purpose. Apparently, the training for this sequence is intense and the diet so strict and regimented that Upen, we hear, was out for the count for four days recently, owing to his rigorous schedule. 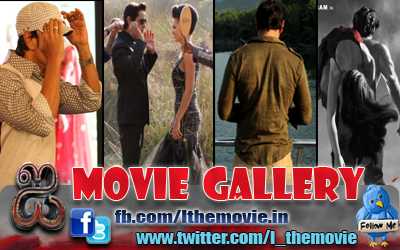 This fight scene is likely to be one of the film’s major highlights, and Shankar, who’s known to be a perfectionist, wants this to be shot in the last schedule as he has himself designed the action sequence, and wants it to be on par with what one sees in Hollywood films.